Hello world! It has been a dog’s age since I posted and I’m wishing I had made more effort because there is so much to catch up on: the rest of my David Swenson training, my latest injury debacles, the second half of my YTT with Eoin Finn, and as always, my practice. I’m going to take it slow, because that feels a bit overwhelming. I hope to post in more detail about at least the trainings but I’ll give a one or two sentence wrap up of the important stuff now. 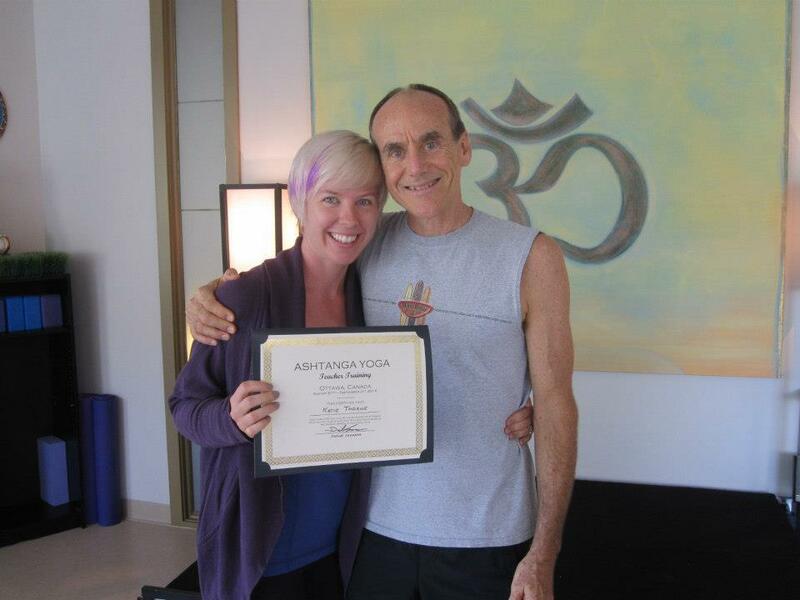 David Swenson: I adore him and his easily digestible approach to Ashtanga. The training was a great experience, mostly because of his amazing story telling about Guruji and his own fascinating life. Eoin Finn YTT: I met some truly incredible people while I gained the skills and (almost enough) confidence to teach. I’m certified, y’all! Injury report: Knees = F@#%ed (LCL left knee, MCL right knee), slightly bulging disk thanks to trying too hard with eka pada (these are self-diagnosed because god forbid I seek medical attention). Frustration level is being managed but it’s a bit hard. Practice: No way I can keep this to two sentences. My practice and I went back to casual dating for a few weeks because my knees were so painful, mainly my left one. It was ugly. I wasn’t sure I could even manage a modified practice because even walking hurt. I gave it a bit of time. It is slowly, slowly feeling a bit better. I decided I was ready to re-commit this week and I did practice every day. I’m starting to do lotus again with the right leg. The left will be quite awhile longer, I fear. The biggest issue is how the knee problems effects my hips. My hips are one of my numerous struggle points in this “yoga of no” and to lose the flexibility I had gained in my rotation is a tad infuriating, but I suppose there is a lesson here. The knee stuff was scary for me and it’s forced me, more than ever, to practice mindfully. I was so happy to be back in the routine this week. I got to the shala early everyday so I wasn’t forced to rush to get my full practice in. It feels good to take care of yourself. I spoke to my teacher yesterday and she wants to give me more postures and split me when my knees are feeling up to par. Exciting/scary. So that’s the basic rundown of the last six or seven weeks. Coming up tomorrow I have a super fun yoga weekend in Toronto. I’ll be at AYCT for three workshops with Laruga Glaser. 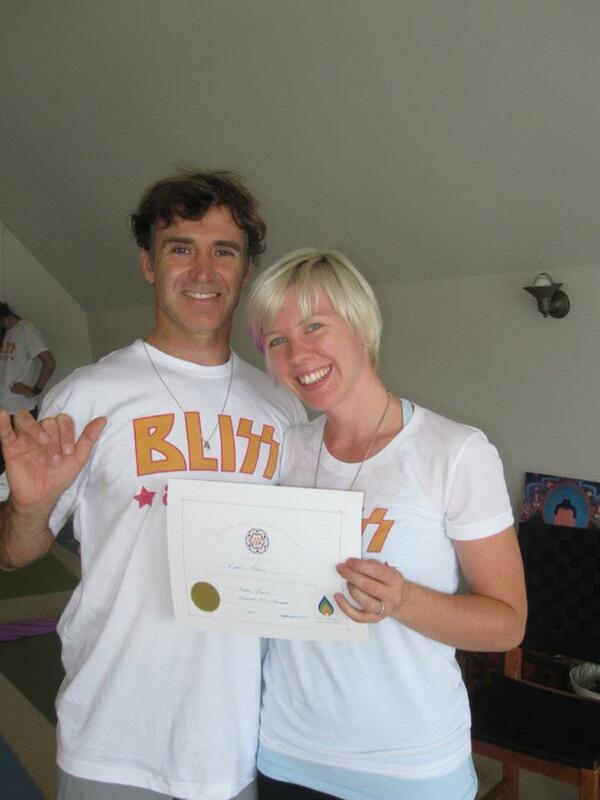 If you haven’t read her blog (http://peaceloveyoga.blogspot.ca/) or seen her practice, you really should. She’s pretty super-human and mind-blowingly amazing. The workshops are on intermediate series, arm balancing, and back bending so I predict there will be challenges and laughter. I also get to do mysore at AYCT on Sunday morning, my most favorite thing. I’m tingly with excitement as I wait for my husband to pick me up from work!